Part of the wider Thames Gateway, Kent Thames-side is established as a location for growth. 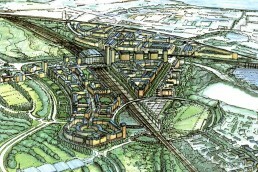 DLA led a team preparing the Kent Thames-side Vision, subsequently described as a unique exercise in British town planning. 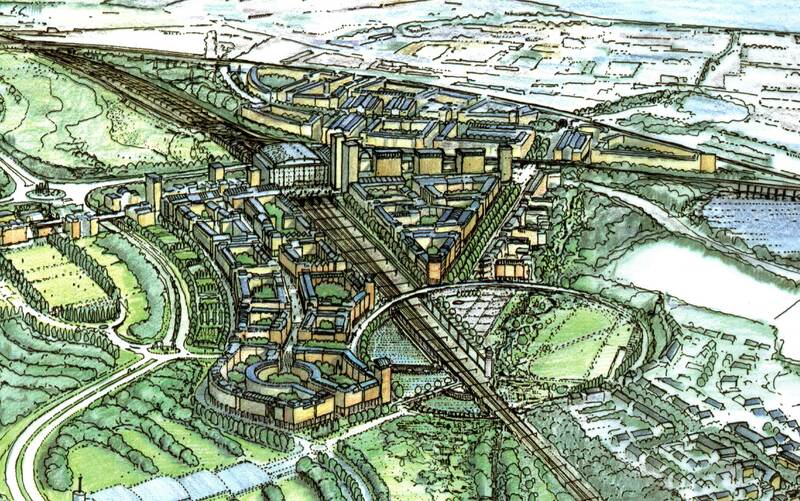 The Vision foresaw the development of over 30,000 new homes and the provision of over 50,000 new jobs largely on brownfield land, based on mixed use, public transport-orientated development. Now recognised as an established part of national planning policy and the cornerstone of the move towards more sustainable development. 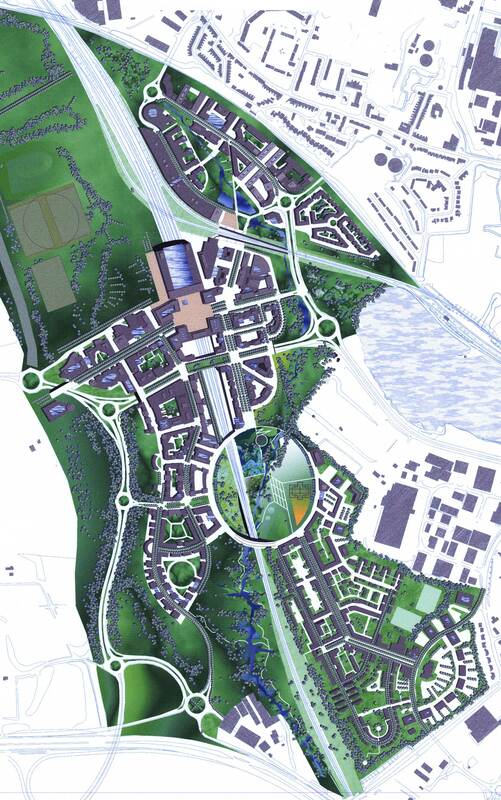 As part of the work the identification of and subsequent construction of Ebbsfleet’s International and Domestic Passenger Station continues to offer a key opportunity to bring new investment and activity into the area and benefit the existing community. 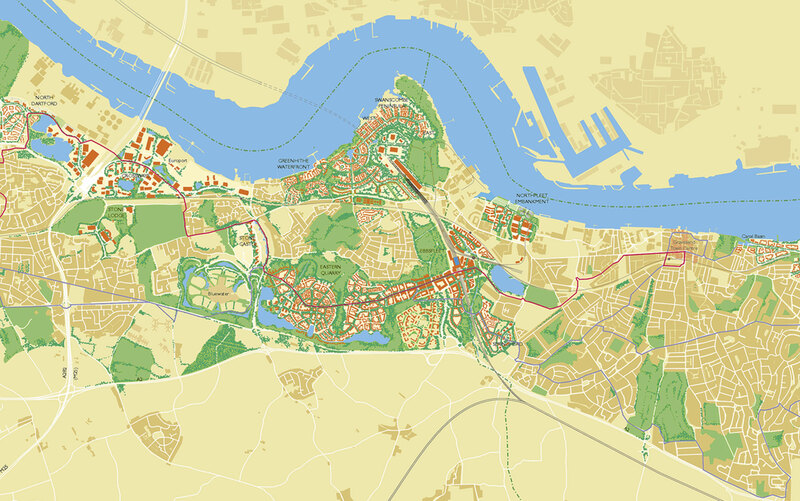 Subsequent work at Northfleet Embankment focused around an east-west high quality public transport/pedestrian/cycle link integrating with Ebbsfleet and Gravesend Town Centre. 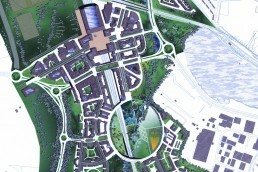 Masterplanning strategy comprised two sustainable new neighbourhoods, set around a core of retained riverside industry, and integrated with existing communities.